Long story short, in my study on baptism I would have done myself a disservice if I didn’t engage with Believer’s Baptism by Schreiner and Wright. The purpose of Believer’s Baptism is to argue that baptism should be, “reserved for believers…in the lord Jesus Christ” (p6) as opposed to the different varieties of infant baptism practiced by some Christians. In particular, the authors are responding to “evangelical paedobaptists…who believe that baptism brings the child into the covenant community…” (p7). To achieve this end the editors have assembled a collection of essays written by a variety of Baptist scholars, the majority coming from Southeastern Baptist Theological College and Southern Baptist Theological College. These essays approach this issue from different angles, namely biblical exegesis and theology (ch1-4), history and theology (ch5-9), and pastoral application (ch10). Due to the book’s format I will split this review to cover each section and include my comments in the survey. In the first chapter, Andreas J. Köstenberger examines all occurrences of bapti- words by following the narrative of the Gospels and trying to understand the references to baptism in its own context. He then synthesises the readings and, drawing from the Great Commission in Matthew 28, concludes that baptism 1) is for believers who have repented, 2) is an essential part of Christian discipleship, 3) is most likely through immersion, and 4) presupposes regeneration on the part of the recipient. This chapter was a good summary of the Gospel material, though he didn’t really engage with alternate viewpoints so it’s hard to know if anything significant is missing. Secondly, Robert Stein addresses Luke-Acts. I’m glad that he considered Luke and Acts together, though it doesn’t make much difference to his study since the majority of time is spent in Acts. According to Stein, “Luke’s concern in Acts involves not so much explaining the meaning of baptism (contrast Rom 6:1-11) as describing the practice of baptism in the early church” (p36, emphasis mine). Stein goes on to show how baptism is intimately connected with repentance, faith, the gift of the Spirit, and forgiveness of sins; many of our problems come through disassociating these from one another and then trying to understand Acts’s teaching on baptism. Stein then turns to some of the more surprising accounts of salvation in Acts and also household baptisms. This chapter was excellent and I had a number of ‘aha’ moments, particularly in regards to the connections between John’s baptism and Jesus’s, and between water and Spirit baptism. Stein argues that “the litmus test that determines if a person is truly a Christin in Acts is the reception of the Spirit” (p38), and while this is argued for ably, Stein didn’t clearly explain what this means for us today. Was this particularly unique in Acts account, should we not expect similar visible signs of the reception of the Spirit today? How would one (or could one?) discern the reception of the Spirit today? Admittedly, these questions are beyond the scope of Stein’s chapter, but since other authors didn’t quite pick up on Stein’s nuance here, they remained unanswered. 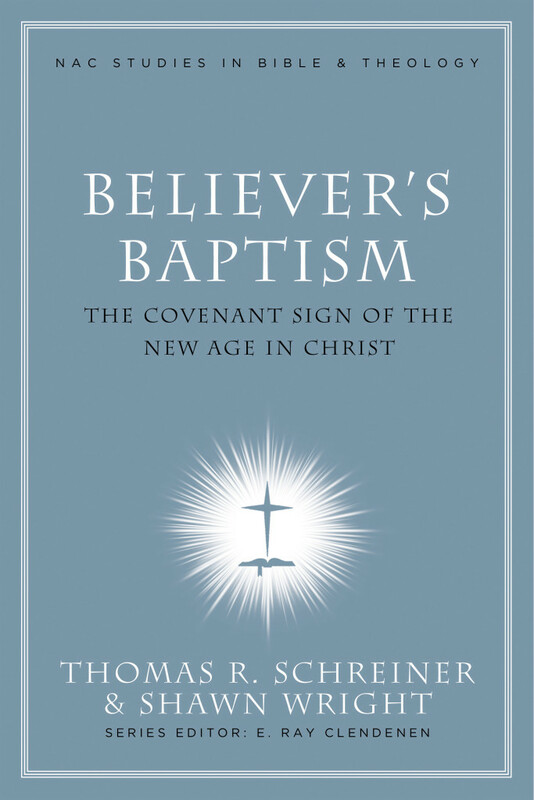 Tom Schreiner addresses four areas in relation to baptism in the epistles: 1) exegeting the main baptismal texts, 2) the mode of baptism and washing and sealing language, 3) baptism and redemptive history, and 4) baptism and believers. Schreiner shows that baptism for Paul was intimately linked with ones conversion, death to sin and new life in Christ. All believers were baptised as an integral part of their conversion to Christ. With Stein, Schreiner argues that many of our confusion with baptism texts come from separating baptism from conversion when the Biblical authors don’t do so. In many ways, Stephen Wellum’s 70+ page chapter, Baptism and the Relationship Between the Covenants, is the heart of the book. Many who are unfamiliar with the paedobaptist position think the heart of the issue lies in NT texts, particularly those referring to household baptism. This results in surface level engagement and straw man argumentation. However, Wellum rightly notes that the heart of the paedobaptist argument lies in their understanding of the covenants (Covenant Theology) and everything else flows from that. In this chapter Wellum first tries to evaluate Covenant Theology on its own terms, and then responds to its tenets. Wellum’s response reveals his own position to be neither a Baptist form of Covenant Theology not Dispensationalism, but something to be later identified as Progressive Covenantalism with the release of Kingdom Through Covenant. Space will not permit an outline, but Andy Naselli has kindly done this for us. This chapter is certainly worth the price of the book and ought to be studied with care. I consider it an excellent appraisal and response to Covenant Theology, despite remaining unconvinced of the positive arguments for Wellum’s own view. I’ll get to Kingdom Through Covenant eventually! Next, the focus shifts to addressing historical and theological concerns. Steven McKinon, sifts through the early church’s teaching on baptism, specifically whether it was seen as following salvation, preceding it, or even producing it (p164). In his view, infant baptism arose later due to several factors I will not discuss here. I know that those who advocate infant baptism see history as being on their side, so I would expect paedobaptists to have something to say about McKinon’s conclusions. Jonathan Rainbow traces the development of the Reformers’ doctrine of baptism in response to the medieval Roman Catholic view, particularly focusing in on what modern Baptists can learn from the 16th century Anabaptists. This chapter was quite interesting and I appreciated Rainbow’s application at the end. Next, Shawn Wright, “examine[s] the internal logic of the Reformed paedobaptist position” (p207) through particularly honing in on the writings of key paedobaptists John Calvin, John Murray and Pierre Marcel. Wright categorizes his study under six headings: 1) the sacraments, 2) their definition of baptism, 3) 2the “mixed community” of believers, 4) the covenant of grace, 5) the use of NT texts as support, and 6) how infant baptism fits with the conviction of salvation by faith alone. This was another central essay in this book because it hits the paedobaptist position head on. I was left wondering how a paedobaptist would feel about Wright’s quotations and representation of their view, since his quotations reveal a deep inconsistency in the paedobaptist position that, if correct and in context, is devastating to the view. The difficulty in this chapter is representing and critiquing such an established position in a short amount of space. Fortunately, while Wright was not able to give much more than a brief response and dismissal to each separate heading discussed, a careful reader will notice that the other authors have done so throughout this work. The distinct approach to infant baptism from Reformed scholar Meredith Kline (1922-2007) is addressed by Duane Garrett. Garrett shows his appreciation for Kline, but also shows his unique arguments for infant baptism are ultimately untenable when judged by the Biblical text. Lastly, Mark Dever writes on the questions that a pastor/elder would have to consider in the context of their local church. Dever addresses these issues under the following headings: 1) who baptizes? 2) how is baptism to be done? 3) who is to be baptized? 4) when is baptism to be done? and 5) remaining questions, such as the unbaptized taking communion, entering church membership, baptism from other churches, and others. With a chapter like this, I suspect none will agree on all issues, but all will appreciate thinking them through with Dever. Dever argues for a delay before baptizing a professing believer in case it is done prematurely and an unbeliever is baptized as a result. This is a difficult issue, especially considering other authors in this book such as Stein and Schreiner persuasively argue that the New Testament church never separated baptism from confession and forgiveness of sins; these things all belonged together. What are we to do with this discrepancy? Is our day and age too different from that in the book of Acts that we shouldn’t follow their example, instead only baptizing those who show evidence of regeneration? Or ought we immediately baptize those who profess faith? If we wish to emphasize the theological significance of linking baptism with our death and union with Christ in passages such as Romans 6, it appears a delay in baptism loses too much. However, how do we seek to preserve the unity of the body, and not fall into the very critiques of paedobaptists who see no issue in the church being a mixed body. Dever only touches on this briefly, but in light of the prominence the issue receives elsewhere in the book, I wish he had said more. First, we may not necessarily be hearing the best arguments of opponents. Having non-Baptist authors respond – however briefly – to the chapters may have helped the reader evaluate the arguments and feel confident they weren’t only hearing strawman argumentation. The authors clearly attempted to avoid oversimplifying the paedobaptist position, but I cannot say whether misrepresentation is a problem for Believer’s Baptism since I am not strong on the paedobaptist arguments. Secondly, while the authors speak for Baptists, I suspect many Baptists will not see themselves being represented. Many Baptists hold to Dispensationalism or a modified Covenant Theology and would disagree with Wellum’s view. I suspect that Wellum’s view on the covenants is in the minority amongst Baptists in general. A chapter for each of the other two systems, or a single chapter surveying the other approaches that Baptists take to the covenants would have been welcome. This may have resulted in more Baptists feeling represented and using the book in their churches. Thirdly, I would have liked to see it clearly established that baptism actually is the sign of the new covenant; it is merely assumed throughout. Some have argued that regeneration/spiritual circumcision was the sign of the new covenant rather than baptism itself, so it would have been interesting to see this view evaluated in this book. It’s worth reiterating that the paedobaptist view the authors seek to refute is Reformed paedobaptism. Some have criticized the authors for not addressing other views such as Roman Catholic, Orthodox, or Lutheran. I think this is an unfair criticism considering the authors clearly set out their intentions in the introduction that they are primarily addressing our Reformed brothers. However, it is still important to realize these other views are not addressed in length. I know that my own study of this issue isn’t over, but Believer’s Baptism has played an important role in confirming my belief in believer’s baptism. The scholarship is solid and thoughtful, particularly so in Stein and Wellum’s contributions. I’m very grateful that the conclusion of the book was not merely something like, “baptism is good but not necessary and the paedobaptists are wrong”. Instead, the importance of baptism was shown and now I have a deeper appreciation for the significance of baptism. Believer’s Baptism is particularly aimed towards pastors and students so the average Christian may struggle with the scholarship in some chapters, but I don’t want to discourage any from reading this book; all could receive some good. We need to reclaim the whole theology of baptism according to the Bible, so I would heartily recommend Believer’s Baptism to any who want to pursue this issue more. Does the Bible Confuse Plurals and Singulars?